Firstly you need to root your android device. If you have already rooted you device then it’s fine or if not then click here to know how to root you android easily. Now go to Google Play Store and search System App Entferner (ROOT). After install Open or Launch the app. After that open the menu and select System App. Now you can simply select the app that you want to remove . After that simply tap on Uninstall. That’s it. You have done your task. Now you can enjoy a bloatware free android device. 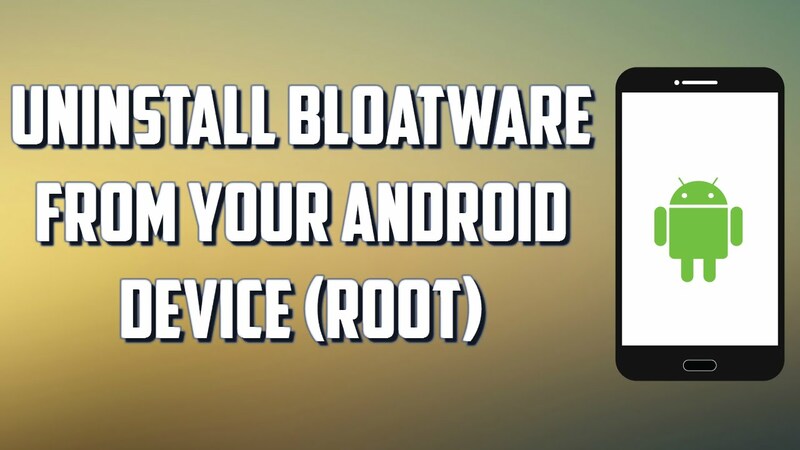 Now you have known that this is one of the easiest ways to remove bloatware from your Android smartphone. By using this guide, you can easily make your device bloatware free by just simply removing them with the both possible ways discussed above. Hope you like it. Stay with us to get more.